The question is as common for digital ad agencies as “how do I become a millionaire?” is to financial consultants. And the answer is just as complicated. Further frustrating the process is Google’s changing algorithm and ranking process. Instead of seeing a straight list of responses to a search query, your prospects receive two to three paid ads, Google’s “3-pack” and then finally organic search listings. Some searches also receive Google’s “featured snippet”. One of the easiest ways to land at the top of Google is to optimize your Google Business listing so your increase the chances your business will land in the coveted “3-pack”. 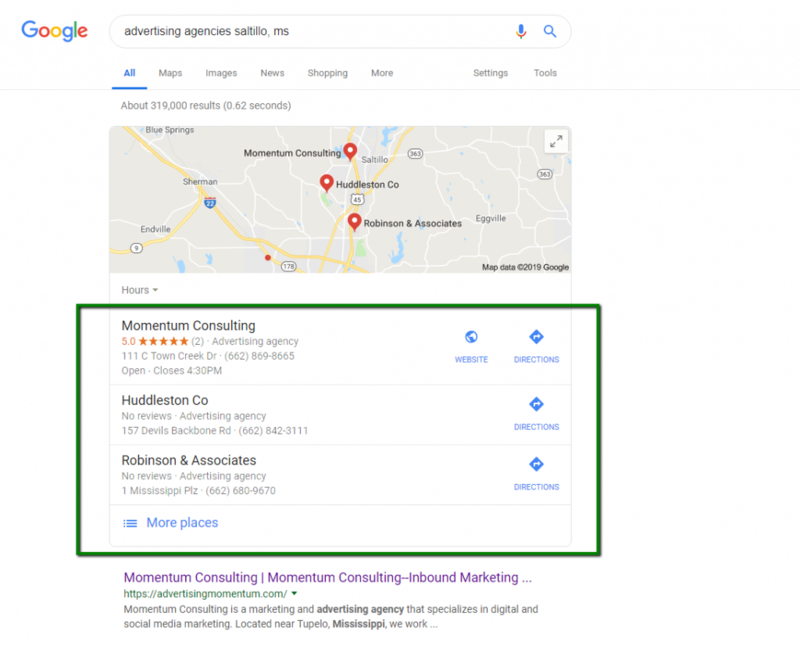 Business listings prove especially important for businesses driving traffic to a physical location like a medical clinic, retail store or restaurant. Claiming your Google business listing takes a thirty minutes or so and costs you nothing but the time you spend. We’ll even walk you through the process. If you have a Google account (usually because you use Gmail or have a YouTube account) you can use that account. If not, you can open a Google account using your regular email. If you have multiple locations or multiple providers who need separate pages, use the same account for all your pages to keep access easy. Click “Add a Location” or if you have multiple locations click “Create Location Group”. Enter your business name and follow the prompts. If your business exists on Google already, it will show in a drop down box for you to choose and you will proceed to verify the listing. If it’s not on Google, you will be allowed to add it. If your business has already been verified, Google will give you the first two letters of the email address used to verify the listing. Hopefully you will recognize the email address. If it’s not your email address, Google offers and opportunity to contact the owner of the listing or to report a problem to Google. Google will prompt you to either verify that you own the business by a phone call or through a postcard sent to your address. You can complete the rest of your listing before finishing the verification process if you choose to verify through a postcard. The changes you make to the listing will not be active until the listing is verified. Double check where the maps listing has your location. Add the area you serve using specific zip codes or cities if you have a physical location. If your company delivers good and services you can choose an entire state or country. Headshots of primary staff members are important especially for medical providers. Product pictures offer a glimpse into what you offer, but they need to be updated when your stock updates. Nothing says you aren’t paying attention like last year’s technology or outdated styles. Images showing the outside of your building make it easy for someone driving to your location to know they have arrived. Pictures inside your showroom, office or retail space give people an idea of what to expect when they arrive. 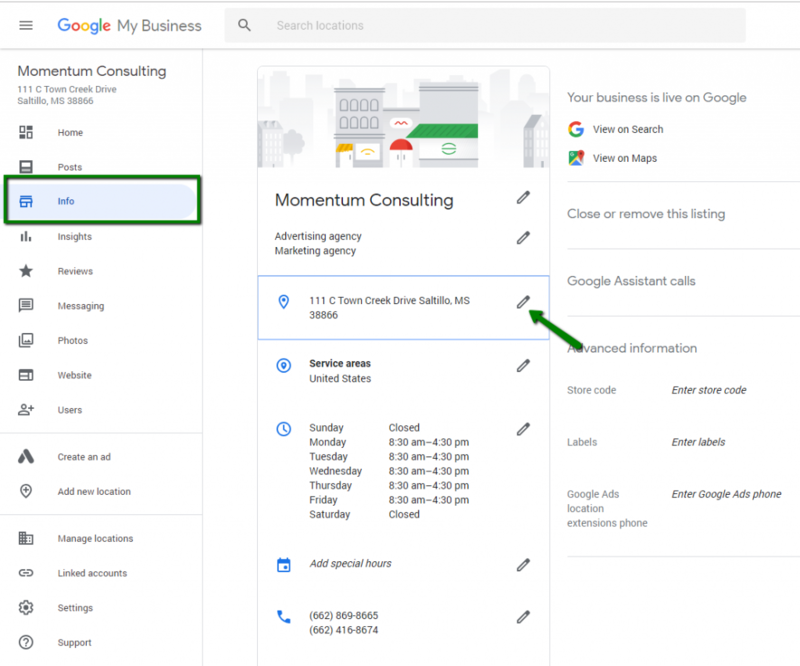 One of the newest features of Google business listings is the ability to add products or services to your list. You can include pricing or not, it’s up to you. Adding pictures increases the chances Google will show those when someone searches and they may be persuaded to visit your site or location based on the images they can easily see. Depending on how your listing has been set up, services or products may be listed in the “info” tab or it may be a separate “products” link in the left hand menu. Look in both places. Then click “add items”. Create a section. This provides an overall category for your products. Even if you only have one product in the section, you have to create a section first. 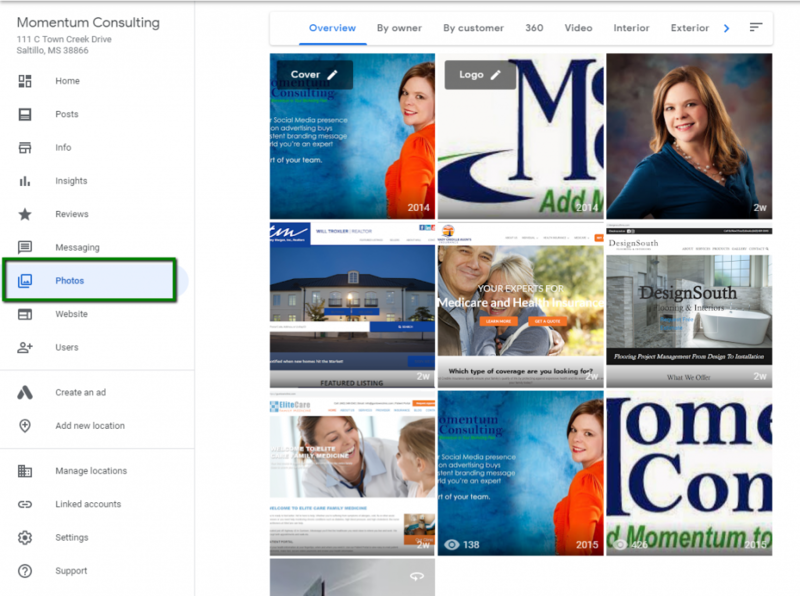 Add a product or service (or multiple products or services) to the section. Include price if you’d like but it’s not required. Add the item description. You can use the description from your website if needed. In fact, we pulled services and product categories as well as product descriptions. 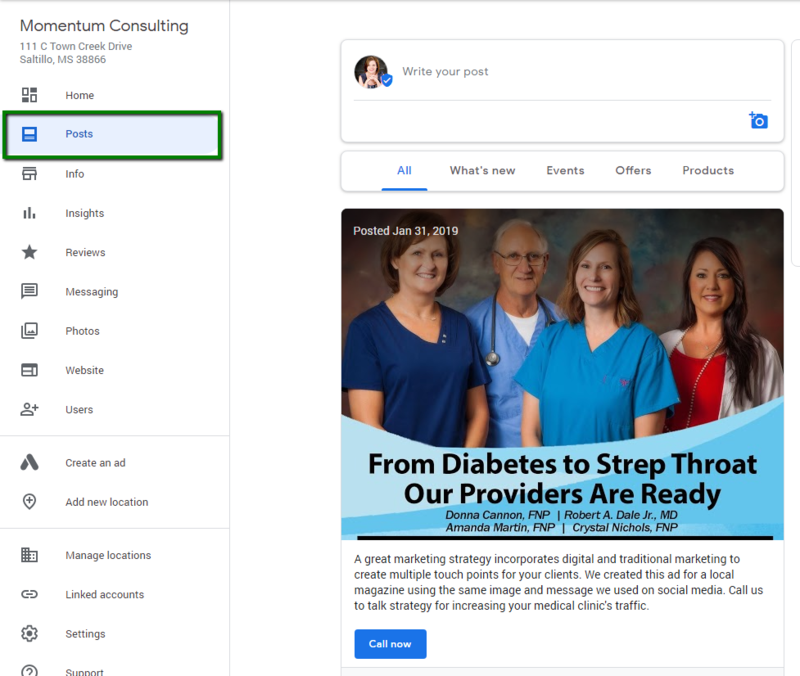 Another new feature of Google Business is posts. Google may be disabling Google+, but they aren’t out of the social media game altogether. Use posts to talk about specific products, offer a sale or discount, or post about an upcoming event. These posts need not be changed daily like Facebook, Instagram or Twitter, but should be updated on a weekly basis to keep new offers attracting your customers. Whether you are on Google or not, people will review your business. Claiming your listing allows you to respond to these reviews. Remember to keep it positive even when the review isn’t what you’d like. Think of ways you can make the situation right or take the conversation offline to discuss it further. You should also encourage your customers to leave reviews of your business on your business listing just as they do on Facebook or Houzz. 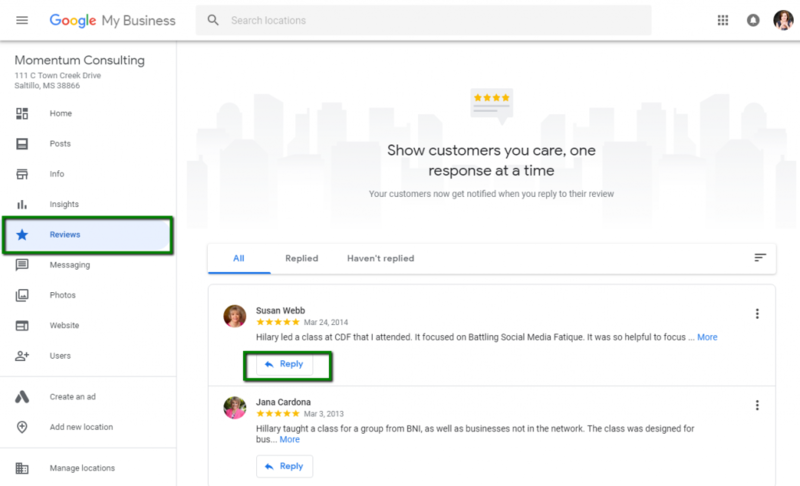 Multiple reviews in multiple places continues to build a strong reputation for your business. Think Facebook Messenger for search engines. Not only can people find your listing on Google and see your location, they can message you questions just like they do on Facebook Messenger. To activate you will have to use it on your mobile device, which if you think about it makes sense. People message for instant access not a two day delayed response. Mobile access means you can receive and answer their questions quickly. 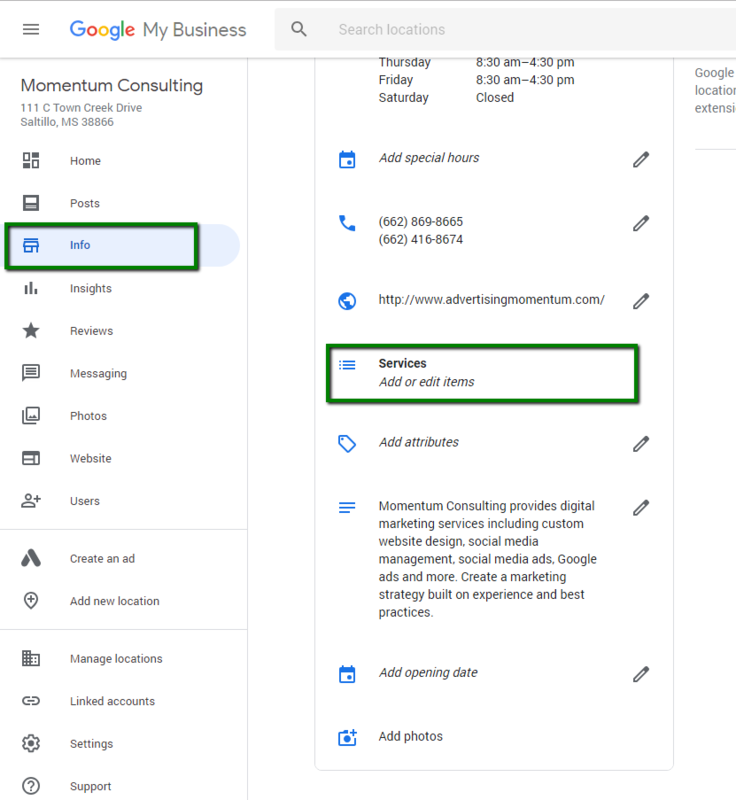 You can’t manage Ads directly from your business page, but you can access Google Ad’s platform where you can set goals which will reflect in the insights portion of your business listing. We all want to know how our business ranks for specific keywords or how people are finding us. Insights gives you that information directly. What keywords did people use to find your business listing? Were they looking for you? Did they view your Google listing or your maps listing? How many actually visited your website? 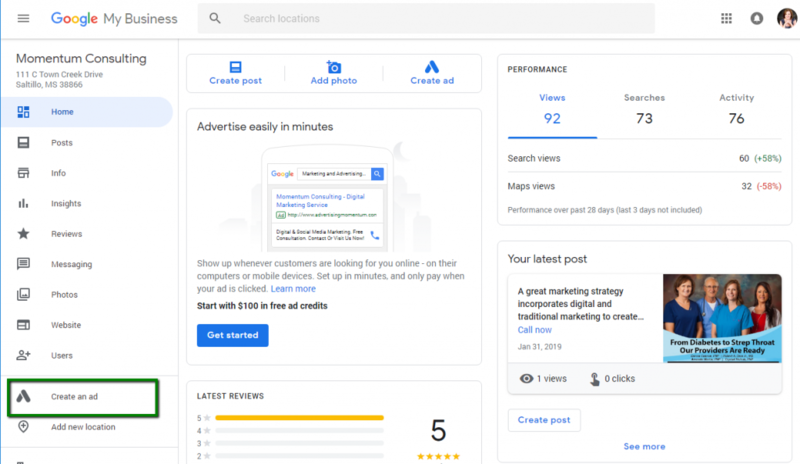 These insights are also helpful as you optimize your business listing to see what’s helping you gain traction and what steps you need to take to keep growing your traffic. Like we said, setting up your Google listing only costs the time it takes to put all the information into the platform. A lot of it you’ll already have from your website or other social media pages. Taking the time to fully complete your profile can increase your placement in Google’s search listing, increase contacts from customers and increase your business.